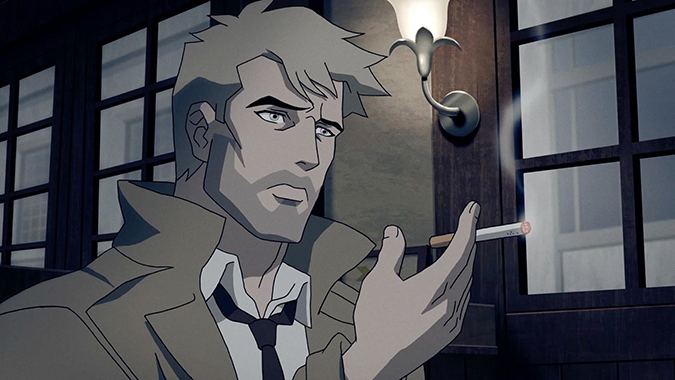 From executive producers David S. Gover and Greg Berlanti, The Hellblazer is back in an all-new twisted tale of mystery, intrigue and the occult with Constantine: City of Demons, a full-length, R-rated feature film based on the acclaimed DC animated series from CW Seed. Produced by Warner Bros. Animation, Blue Ribbon Content and DC Entertainment, the action-packed movie will be distributed by Warner Bros. Home Entertainment starting October 9, 2018 on Ultra HD Blu-ray Combo Pack, Blu-ray Combo Pack, and Digital. 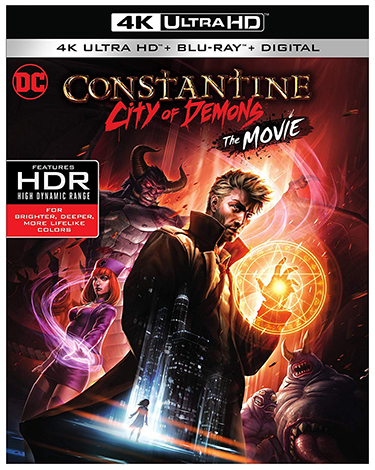 Constantine: City of Demons Ultra HD Blu-ray Combo Pack features an Ultra HD Blu-ray disc in 4K with HDR and a Blu-ray disc featuring the film; the Blu-ray Combo Pack features the Blu-ray and DVD. The Ultra HD Blu-ray and Blu-ray Combo Pack include a digital version of the film. Constantine: City of Demons is rated R for bloody violence/gore, disturbing images, and some sexual content. –The Sorcerer’s Occultist – Understanding John Constantine – An exciting examination of the powers and abilities used by DC’s working-class occult detective, John Constantine.